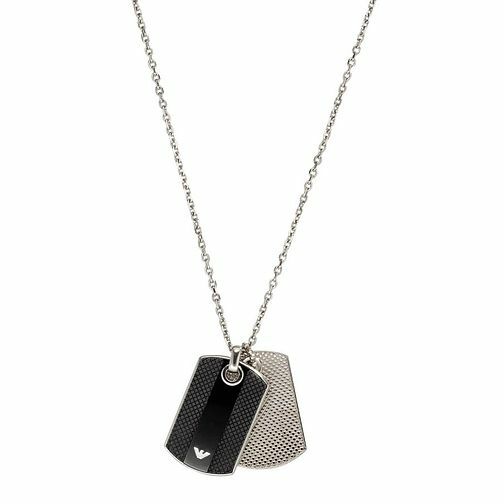 A stainless steel and silver chain and dog tag from designer fashion brand Emporio Armani. The tag is set with the iconic Armani eagle logo. Stylish simplicity, ideal for everyday casual wear. Emporio Armani Men's Stainless Steel & Silver Dog Tags is rated 2.0 out of 5 by 1. Rated 2 out of 5 by Anonymous from Chain too short It is a nice product but for a mans necklace the chain is very short and there doesn't seem to be any option of an extension.